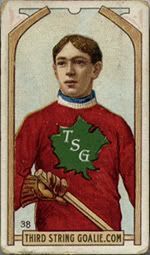 Born in Rat Portage, Ontario, Tommy Phillips played for the local junior team before moving to Montreal to attending McGill University in 1902, where he joined the school's hockey team and was named the team captain. He also found time to play with the Montreal Amateur Athletic Association, who were the present holders of the Stanley Cup at the time Phillips joined the club. In late January of 1903 the Montreal AAA faced a challenge from the Winnipeg Victorias, which was a best-of-three format. Montreal won Game 1 by a score of 8-1 and Game 2 was declared a tie after 27 minutes of overtime when the clock reached midnight. While Winnipeg won the third game 4-2, Montreal retained the cup with a 4-1 win in the deciding fourth game as Phillips contributed 3 goals during the series. 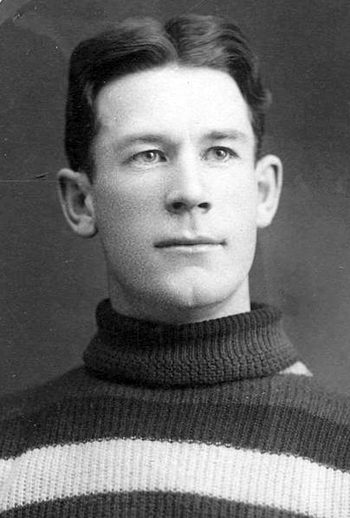 Phillips moved to Toronto to attend a different school in late 1903, and while there, he joined the Toronto Marlboros of the Ontario Hockey Association and played as their rover. He scored 5 goals in 4 games as the club won the city and province championships, which earned the Marlboros the right to challenge the Ottawa Hockey Club for the cup in late February of 1904, which Ottawa was able to defend 2 games to none. He returned to Rat Portage to be with his ailing father later in 1904 and took a job with a lumber company as well as a bonus to play hockey for the Rat Portage Thistles. During his first season with the team he finished second in the league with 26 goals in 8 games. 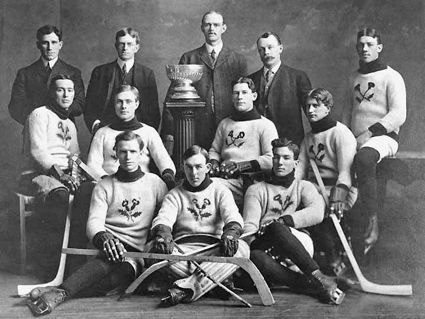 The Thistles won the Manitoba Hockey League title with a 7-1 record and subsequently challenged the Ottawa Senators for the rights to the Stanley Cup in March of 1905, a series won by Ottawa 2 games to 1. The Thistles won the first game 9-3, with Phillips finding the net no less than five times. While Ottawa took the third game by a score of 5-4, Phillips had a hat trick in the losing effort. The founding fathers of Rat Portage saw fit to merge with the towns of Keewatin and Norman, and taking the first two letters from each, renamed the newly formed municipality Kenora in 1905. 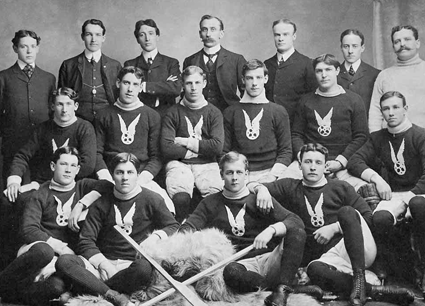 While the town's name may have changed, the hockey team kept the name Thistles. 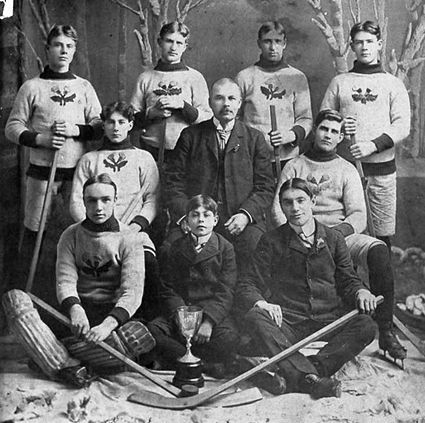 For the 1905-06 season, the Kenora Thistles repeated their 7-1 record to win the league title once more, with Phillips scoring 24 goals in 9 games. However, a warm spring left the teams without suitable ice for a cup challenge until the following winter! Phillips led the league in 1906-07 with 18 goals in 6 games for Kenora, who then got their long-awaited Stanley Cup challenge against the Montreal Wanderers in January of 1907. The Thistles roster was stacked with four future Hockey Hall of Famers, including "Bad" Joe Hall, Tom Hooper and Art Ross. The format of the series was a two-game, total-goals series. Phillips, the Kenora team captain, led the way in Game 1, scoring all four Thistles goals for a 4-2 win, giving Kenora a 2 goal cushion entering Game 2. Both Phillips and Hooper recorded hat tricks in Game 2 as Kenora won the game 8-6, taking the series 12-8 and claiming the Stanley Cup for tiny Kenora, the smallest town to ever hold the cup. After their challenge in January, Kenora returned home with the cup to finish their league schedule, which ran through March. 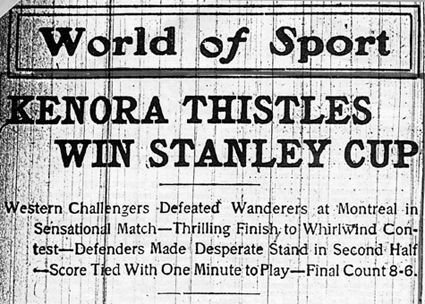 The Thistles won the MPHL league playoff title to retain the cup and were then immediately challenged by the Wanderers in late March. The Thistles had lost three players to injuries and skillfully replaced them all with future Hall of Famers, Alf Smith, Harry "Rat" Westwick and Fred Whitcroft. 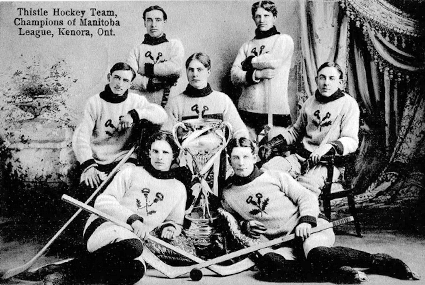 There was some controversy over Kenora's use of their replacements, but in the end Montreal won back the cup 12 goals to 8 after the series was moved to Winnipeg in search of better playing conditions. Phillips recorded a goal in each of the two games of the challenge. Phillips was lured east thanks to the rise in professional hockey, as up until 1906 he played in amateur leagues. Despite an potentially higher offer from the Wanderers, Phillips signed to play with Ottawa and finished third in the league with 26 goals. 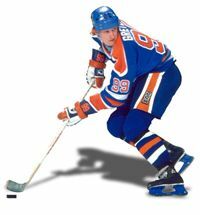 His stay in Ottawa was brief, as he signed to play for the Edmonton Hockey Club for the 1908-09 season. His first assignment for Edmonton was to participate in their cup challenge against the Wanderers in Montreal. Game 1 was a 7-3 loss for Edmonton, who also lost Phillips for the upcoming season when he broke his ankle during the contest. 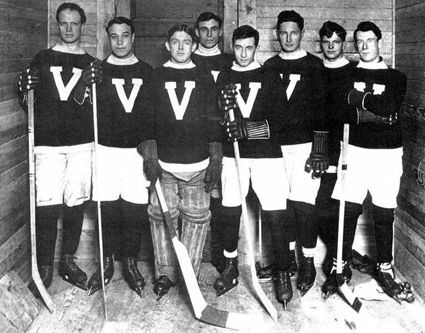 He continued to travel west, as he signed for the Nelson Hockey Club in British Columbia for the 1909-10 season before playing the 1911-12 season for the Vancouver Millionaires of the Pacific Coast Hockey Association, where he scored 17 goals in 17 games to bring his career to an end at the age of 29. 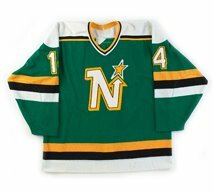 Phillips played a total of 67 league and cup games, scoring 141 goals, a career average of over 2 goals per game, and was inducted into the Hockey Hall of Fame as part of it's inaugural class in 1945. 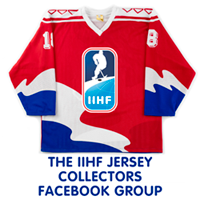 Today's featured jersey is a 1907 Kenora Thistles Tommy Phillips jersey. The Thistles name was chosen in a contest and the winner was a local Scottish carpenter named Bill Dunsmore who not only submitted the name in reference to the region's Scottish heritage, but a drawing of a thistle for the team's logo. 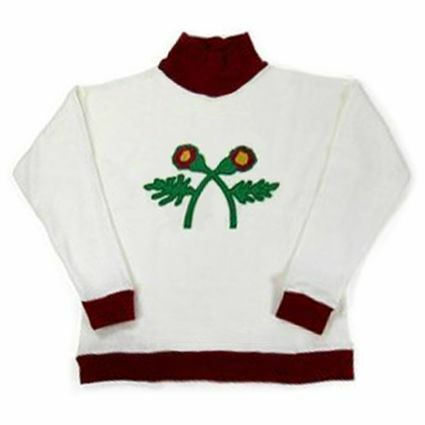 This jersey is the style worn by the 1907 Stanley Cup champion Thistles club. 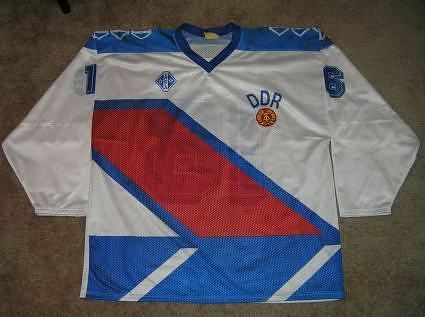 These jerseys were reproduced by the CBC in connection with their "Hockey: A People's History" documentary, and are sadly no longer available on demand. In another one of those amazing youtube moments, here is a video on the Kenora Thistles. While the original Thistle club disbanded in 1908, subsequent clubs in Kenora have adopted the Thistle name, which was the case for the club that Louis McKay played on in 1934.